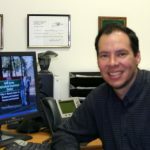 Zach Brown is an assistant professor at North Carolina State University in the department of Agricultural and Resource Economics. Dr. Brown earned a Ph. D. from Duke University and specializes in environmental resource economics, discrete choice econometrics, economic dynamics, and bioeconomics. He will be working with our team to determine economically efficient resistance management strategies for SWD. 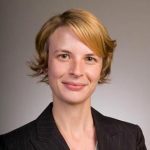 Hannah Burrack is an Associate Professor of Entomology and Extension Specialist for small fruits and specialty crops at North Carolina State University. Dr. Burrack’s research focuses on understanding the ecology of insect pests in tobacco and small fruits and utilizing this information to enhance pest management. She is particularly interested in landscape scale management issues, host preference behavior, and invasive species biology. Dr. Burrack is the Project Director for the SCRI-funded Sustainable SWD Management research program. Joanna Chiu is an Associate Professor in the Department of Entomology and Nematology at the University of California- Davis. 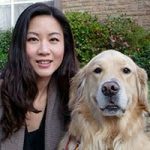 Dr. Chiu’s research focuses on the regulation of circadian rhythms in animals using a combination of molecular genetics, biochemical, and proteomic approaches. Dr. Chiu’s research team is working to develop molecular markers that will enable us to detect and describe long distance SWD movement. Her research will provide us with tools to track SWD movement and produce off season management strategies. 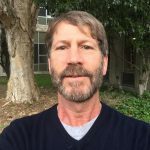 Kent Daane is an extension specialist at the University of California- Berkeley. Dr. Daane’s research focuses on the development of ecologically-based insect pest management systems. Research studies include classical biological control, augmentation programs, insect-plant interactions, use of least-disruptive insecticides and the biology of natural enemies. Dr. Daane is leading a team to identify and quantify resident parasitoids and screen exotic parasitoids for their potential to be biological control agents against SWD. Ke Dong is a Professor in Entomology at Michigan State University. Dr. Dong’s research group uses an integrated approach combining molecular genetics and electrophysiology. 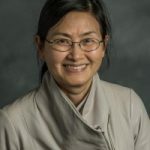 Her research has contributed to the current understanding of the molecular mechanisms of action and resistance of sodium channel-targeting insecticides, such as pyrethroids, indoxacarb and metaflumizone. Dr. Dong is working with our team to determine mechanisms of insecticide resistance in SWD. 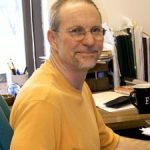 Frank Drummond is a Professor of Insect Ecology, Insect Pest Management, and Blueberry Extension Pollination Specialist at the University of Maine. Dr. Drummond’s research interests include the ecology and population genetics of wild blueberry, pollination biology, and blueberry plant production. Dr. Drummond is participating in several aspects of our program focused on developing IPM tools for SWD and reducing reliance on insecticides. 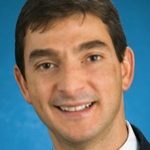 Miguel Gomez is an Associate Professor in the Charles H. Dyson School of Applied Economics and Management and is a Fellow of the David R. Atkinson Center for a Sustainable Future at Cornell University. Dr. Gomez’s research centers on 2 main topics: supply chain competitiveness and sustainability and retailing and channel relationship. Dr. Gomez is working with our team to develop bioeconomic models to predict SWD impacts and suggest profit-maximization strategies. 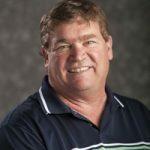 Larry Gut is a Professor of Entomology at Michigan State University working in integrated pest management in tree fruit systems. Dr. Gut’s research focuses primarily on reducing reliance on broad-spectrum insecticides for pest management with particular interest on the use of mating disruption to deter pests from damaging fruit. Dr. Gut is participating in several aspects of our program focused on developing IPM tools for SWD and reducing reliance on insecticides. Kim Hoelmer is a research entomologist with the USDA-ARS. Dr. Hoelmer’s research focuses on the the introduction of beneficial insects for pest management. Dr. Hoelmer is working with Dr. Daane to determine resident and exotic parasitoids which can be used as part of an integrated pest management program for SWD. Rufus Isaacs is a Professor and Extension Specialist at Michigan State University. Dr. Isaac’s research focuses on the ecology and behavior of insects in perennial fruit crops. His research group studies insects that are pests, natural enemies, and pollinators within these agricultural systems and in the surrounding landscapes. Additionally, his applied research-extension program develops and implements insect management programs for small fruit industries. Dr. Isaacs is leading our research focused on reducing reliance on insecticides for SWD management. Greg Loeb is a Professor at Cornell University and has research and extension responsibilities for grape and small fruit crops. His research interests focus on how host plant traits and other environmental factors influence interactions between plants and their herbivores, and herbivores and natural enemies with the specific applied goal of developing novel approaches to pest management. 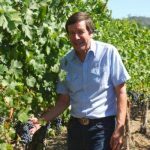 His more applied research program focuses on the ecology and integrated control of specific arthropod pests of grapes and small fruit crops. Dr. Loeb is leading our research into the role of conditioning in overwintering success and the identification of important non-crop hosts and habitats of SWD. Cesar Rodriguez-Saona is an Extension Specialist in Entomology at Rutgers University. Dr. Rodriguez-Saona’s research program works on the development and implementation of cost-effective reduced-risk IPM practices for blueberries and cranberries. This goal is achieved through the integration of chemical, behavioral, and biological methods in insect control and a better understanding on the ecology of pests and their natural enemies. Dr. Rodriguez-Saona’s team is working on developing an SWD-specific lure to enable better timing of treatment of SWD based on local risk. Max Scott is a Professor in the Entomology and Plant Pathology Department at North Carolina State University. Dr. Scott’s research group studies how gene expression is regulated in insects and applying this knowledge to develop engineered strains for genetic control programs. Dr. Scott is working to develop transgenic sterile male-only SWD lines which will be screened for fitness and suitability for field release. Ash Sial is an Assistant Professor in Department of Entomology at the University of Georgia. Dr. Sial is the blueberry entomologist and IPM Coordinator for Georgia. His research program investigates the biology and ecology of major arthropod pests of blueberries in order to develop sustainable IPM programs, and disseminates that information to all stakeholders including commercial blueberry producers in a timely and convenient manner. Dr. Sial is working with our team to monitor for field resistance of SWD to insecticides. Additionally, Dr. Sial is the Project Director for an OREI-funded project on the organic management of SWD. 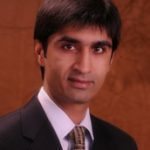 Zain Syed is an Assistant Professor in the Department of Biological Sciences at the University of Notre Dame. 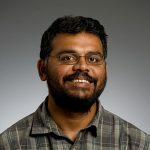 Dr. Syed’s research focuses on determining molecular and cellular elements involved in the detection and discrimination of the olfactory landscape that insects are surrounded with. Dr. Syed is working to identify potential new attractants for SWD trapping that use molecular tools and olfactory receptor physiology. Vaughn Walton is an Associate Professor in the Department of Horticulture at Oregon State University. Dr. Walton’s research focuses on economically important pests, with the aim to provide environmentally sustainable and minimal impact pest management strategies for agriculturalists in Oregon and further afield. Multiple techniques are used in a whole-system approach to obtain sustainable means of production. Dr. Walton is working with our team to validate currently available SWD population models and create an interactive online decision aid using population models and real-time weather data to predict SWD population size and damage risk. 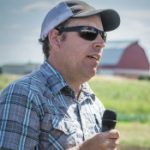 Nik Wiman is an Assistant Professor and Orchard Crops Extension Specialist in the Department of Horticulture at Oregon State University. Dr. Wiman’s research focuses on biological control and insect behavior. Dr. Wiman is working with Dr. Walton to validate currently available SWD population models and create an interactive online decision aid using population models and real-time weather data to predict SWD population size and damage risk. 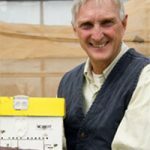 Frank Zalom is a Distinguished Professor of Entomology, Agricultural Experiment Station Entomologist and Extension Specialist at University of California- Davis. Dr. Zalom’s research focuses on integrated pest management for tree, small fruit, and specialty crops. Dr. Zalom is participating in several aspects of our program focused on developing IPM tools for SWD, reducing reliance on insecticides, and monitoring for insecticide resistance. Cherre Sade Bezerra DaSilva, originally from Brazil, is a postdoc in the Horticulture Department of Oregon State University under the the supervision of Dr. Vaughn Walton. Dr. Bezerra DaSilva earned his PhD in entomology from the University of São Paulo and is interested in behavioral and chemical ecology, with a focus on understanding the insect behavior in order develop sustainable control strategies for pests. Danny Dalton is a technician in Dr. Vaughn Walton’s laboratory at Oregon State University. Danny earned his MS at OSU studying disease resistance characteristics of black currants. Since 2009 he has been a major contributor to research programs investigating the biology and control of SWD. 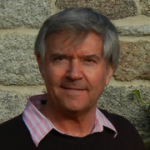 Jean-Jacques Dubois works at the NSF Center for Integrated Pest Management. Dr. Dubois is a survey specialist and is working with our team to develop user-friendly online surveys to determine current stakeholder needs associated with SWD management. Phil Fanning, originally from Ireland, is a postdoc at Michigan State University working with Rufus Isaacs on berry crop pests. 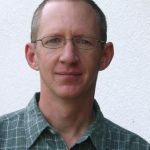 Dr. Fanning earned his PhD from University College in Dublin, Ireland and his research interests include biological control, insect physiology and interactions with environmental factors, plant-insect interactions, and the evaluation of emerging insecticides for pest management. Brian Gress is a postdoc at the University of California-Davis, working with Frank Zalom using behavioral and physiological approaches to understand local adaptation of SWD to different environments and help improve management techniques. 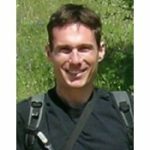 Dr. Gress received his PhD from Syracuse University and has research interests in insect life-history strategies and fitness consequences associated with the evolution of insecticide resistance. Betsey Miller is a research assistant working with Vaughn Walton at Oregon State University working on integrated pest management with a focus on reducing pesticide use in fruit and nut crops. Betsey earned her MS in Entomology at Oregon State University. Dalila Rendon is a postdoc at Oregon State University working with Vaughn Walton on the ecology and physiology of SWD. Dr. Rendon earned her PhD from Macquarie University in Sydney Australia and has research interests in insect behavior and biological control of insect pests. Steve Van Timmeren is a research technician working with Rufus Isaacs at Michigan State University on SWD and blueberry stem gall wasp. Steve earned his MS at Eastern Illinois University where he studied emergence and reproduction behaviors of Japanese beetle. Aurora Toennisson is a research associate working with Hannah Burrack at North Carolina State University. Aurora earned her MS in Entomology from the University of Tennessee with a project that focused on the ecology and nesting biology of the odorous house ant, Tapinoma sessile. She has experience working in beekeeping and field crop entomology labs and almost three years of production agriculture experience on a small vegetable farm. Anna Wallingford is a postdoc at Cornell University working with Greg Loeb on the biology and management of spotted wing drosophila, with a focus on its overwintering biology, as well as improved trapping and monitoring. Dr. Wallingford earned her PhD from Virginia Polytechnic Institute and State University. Her background includes contributions to pest management of several fruit, vegetable, and ornamental pests in the mid-Atlantic U.S. and California, as well as work with insect-vectored plant pathogens and their effects on primary and secondary plant metabolism. Rhonda Conlon is the Director of Extension Information Technology at North Carolina State University. She and her team provide technological support to our researchers to help us disseminate the outcomes of our research to stakeholders.